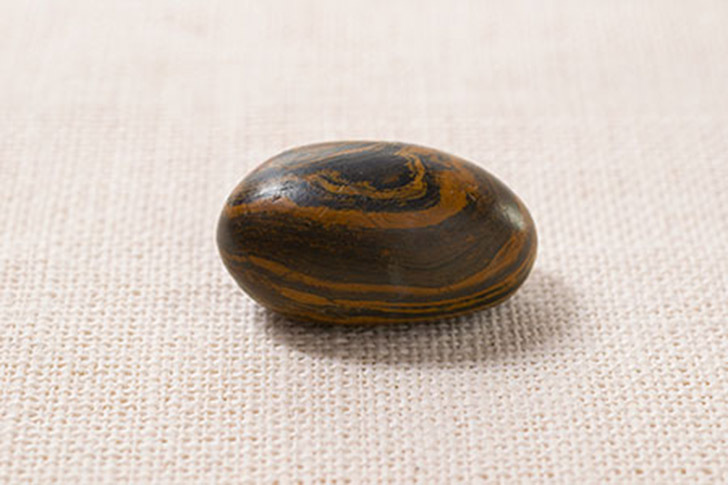 I wanted to put together some historical accounts that show that Joseph Smith used a seer stone in his translation of The Book of Mormon. This page shows accounts of some of the people close to Joseph (specifically Emma Smith, Martin Harris, David Whitmer, and William Smith) stating that he did in fact, use a seer stone in the translation of the text. Joseph Smith and Oliver Cowdery, the two people closest to the translation of the Book of Mormon, both state that a Urim and Thummim was used in the translation. While I believe that Joseph did in fact use the Urim and Thummim as a tool to translate the text, I also believe that he also used a seer stone, and so share some of these historical accounts here. On another page I show accounts which state he used a Urim and Thummim in the translation. The accounts of his use of the Urim and Thummim seem to indicate to me that he probably used this tool before the loss of the 116 pages, and that after this event he started to use the seer stone (see quotes #6 and #7 for example). “The manner in which this was done was by looking into the Urim and Thummim, which was placed in a hat to exclude the light, (the plates lying near by covered up), and reading off the translation, which appeared in the stone by the power of God.” (William Smith, William Smith on Mormonism (Lamoni, Iowa: Herald Steam Book, 1883), 80. William was excommunicated in 1845 and joined the RLDS Church in 1878. In this account by William Smith, he seems to be using “Urim and Thummim” synonymously with the seer stone. I have seen this as I have examined accounts like William’s. In fact, in the following account by David Whitmer, he seems to indicate that the seer stone functioned for “the same purpose”. (After the loss of the 116 pages, Smith) again found favor with the Lord, and was presented with a strange oval-shaped, chocolate colored stone, about the size of an egg but more flat, which it was promised should answer the same purpose (as the Urim and Thummim). With this stone all the present book was translated. The prophet would place the stone in a hat, then put his face in the hat and read the words that appeared thereon. (David Whitmer, Richmond (Missouri) Democrat, January 26, 1888; cited in Cook, David Whitmer interviews, 228, 230. According to Cook, this account was probably borrowed from the Omaha Herald). I stated that “he used one stone (not two) and called it a sun stone.” The “interpreters” were as I understood taken from Smith and were not used by him after losing the first 116 pages as stated. It is my understanding that the stone referred to was furnished him when he commenced translating again after losing the 116 pages. (David Whitmer to the editor, Kansas City Daily Journal, June 19, 1881; cited in Cook, David Whitmer Interviews, 71-72). This entry was posted in Book of Mormon, Church History, Heavenly Father, Jesus Christ, Joseph Smith History, Miracles, Prophets, Receiving Revelation, Stories from Church History and tagged Book of Mormon, Book of Mormon translation, prophets, revelation. Bookmark the permalink.